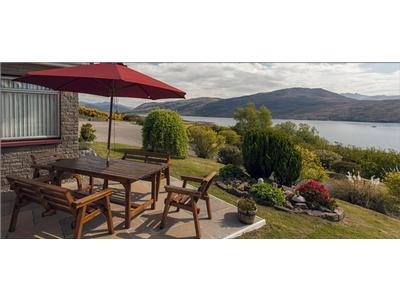 Welcome to Lochbroom Lodge, a large holiday cottage in Ullapool Highland Scotland. The East Wing sleeps 10 adults. The West Wing sleeps 7. The rooms are fully equipped to hotel standard and most are en-suite. Pets Welcome. 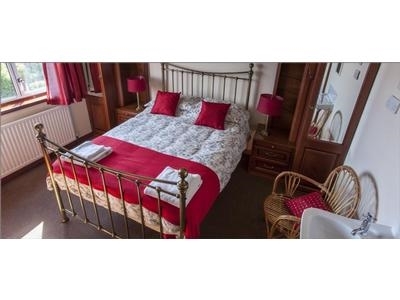 The building has an east and a west wing - both absolutely self-contained apartments in their own right - offering accommodation for groups of up to 20 persons, or family-size parties. The East Wing sleeps 10 adults - plus a fold-down bed if required. The West Wing sleeps 7 adults - plus a sofa-bed. The rooms are fully equipped to hotel standard and most are en-suite. 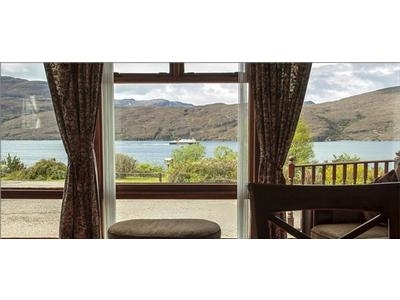 Although the lodges are separate, a locked soundproof partition can be opened up allowing the two lodges to transform into one very large self catering lodge in Ullapool. The lodges combined sleep up to 17 adults making ideal for large family gatherings, hill walking groups, weddings etc. The combined lodge has two outside seating areas, large decked varanda, a patio & BBQ. 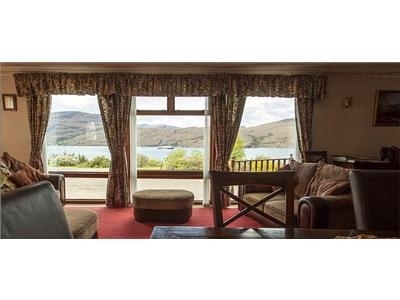 The lodge commands stunning views taking in loch broom, the golf links course, the mountains and hills of the surrounding area.